The Exodus has been an integral part of the American story since the Pilgrims landed on US soil. And it is much more. 3. The Exodus has been an integral part of the American story since the landing of the 17th century early Pilgrims, who considered themselves “the people of the modern day Exodus,” who departed from “the modern day Egypt” (Britain), rebelled against “the modern day Pharaoh,” (King James I and King Charles I), crossed “the modern day Red Sea” (the Atlantic Ocean) and headed toward “the modern day Promised Land” (America). Hence, the abundance of US sites bearing Biblical names, such as Jerusalem, Salem (the original name of Jerusalem), Bethel, Shiloh, Ephrata’, Tekoa’, Bethlehem, Moriah, Zion, etc. 4. The Exodus is mentioned 50 times in the Torah, equal to the 50 years of the Jubilee - the Biblical symbol of liberty – which is featured on the Liberty Bell (installed in 1751 – the 50thanniversary of William Penn’s Charter of Privileges): “Proclaim liberty throughout all the land, unto all the inhabitants thereof (Leviticus, 25:10).” Moses received the Torah - which includes 50 gates of wisdom - 50 days following the Exodus, as celebrated by the Shavouot/Pentecost Holiday. And, there are 50 States in the United States, whose Hebrew name is ארצות הברית, the States of the Covenant. In 2017, the bust of Moses faces the Speaker of the US House of Representatives, and eight statues and engravings of Moses and the Tablets are featured in the US Supreme Court. 6. A documentation of the Exodus - which took place in the second half of the 15th century BCE, during the reign of Egypt’s Amenhotep II – was provided by the late Prof. Yehudah Elitzur, one of Israel’s pioneers of Biblical research. Accordingly, the 40-year national coalescing of the Jewish people – while wandering in the desert - took place when Egypt was ruled by Thutmose IV. Joshua conquered Canaan when Egypt was ruled by Amenhotep III and Amenhotep IV, who were preoccupied with domestic affairs, refraining from expansionist operations. Moreover, letters which were discovered in Tel el Amarna, the capital city of ancient Egypt, documented that the 14th century BCE Pharaoh, Amenhotep IV, was informed by the rulers of Jerusalem, Samaria and other parts of Canaan, about a military offensive launched by the “Habirus” (Hebrews and other Semitic tribes), which corresponded to the timing of Joshua’s offensive against the same rulers. Amenhotep IV was a determined reformer, who introduced monotheism, possibly influenced by the nationally and religiously game-changing Exodus. Further documentation of the Exodus is provided by Dr. Joshua Berman of Bar Ilan University. 7. 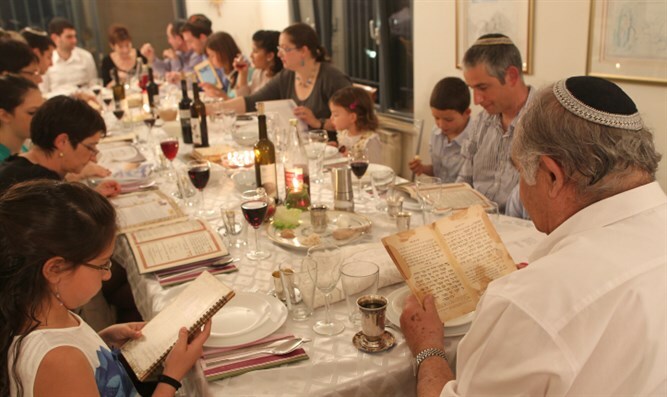 Passover is the oldest Jewish national liberation holiday, highlighting the mutually-inclusive aspects of Judaism: religion, nationality, culture/morality, language and history. Passover highlights individual and national liberty and optimism, which have played a critical role in preserving Judaism, Jews and the yearning to reconstruct the Jewish Homeland, in defiance of the 40 years in the desert and the 2,500 year of exile, destruction, pogroms, the Holocaust, boycotts, wars, terrorism and anti-Semitism. 8. Passover stipulates that human rejuvenation – just like the rejuvenation of nature - must be driven by roots/memory/history. Therefore, parents are instructed to educate their children about the lessons of Passover. Passover was an early edition of the 19th century Spring of Nations. It is celebrated in the spring, the bud of nature. Spring is mentioned 3 times in the Torah, all in reference to the Exodus. Renowned Torah Sage Rabbi Avraham Kook, Jewish thinker, Halakhist, Kabbalist and Israel's first Chief Rabbi, said that "the Exodus from Egypt will forever be the Spring of the entire world". Passover – which commemorates the creation of the Jewish nation – lasts seven days, just like the creation of the universe. 9. Passover's centrality in Judaism is highlighted by the first of the Ten Commandments: "I am the Lord your God, who brought you out of the land of Egypt, out of the house of slavery." The Passover ethos is included in daily Jewish prayers, Shabbat and holiday prayers, the blessing over the wine, the blessing upon circumcision, the prayer fixed in the Mezuzah (doorpost) and in the annual family retelling of the Exodus on the eve of Passover. Passover symbolizes the unity of - and interdependence between - the People of Israel, the Torah of Israel and the Land of Israel. 10. Passover highlights the central role of women: Yocheved, Moses’ mother, hid Moses and then breastfed him at the palace of Pharaoh, posing as a nursemaid; Miriam, Moses’ older sister, was her brother’s keeper; Batyah, the daughter of Pharaoh saved and adopted Moses (Numbers 2:1-10); Shifrah and Pou’ah, two Jewish midwives, risked their lives, sparing the lives of Jewish male babies, in violation of Pharaoh’s command (Numbers 1:15-19); Tziporah, Moses’ wife, saved the life of Moses and set him back on the Jewish course (Numbers, 4:24-27). They followed in the footsteps of Sarah, Rebecca, Leah and Rachel, the Matriarchs who engineered, in many respects, the roadmap of the Patriarchs. 11. Passover is the first of the three Jewish pilgrimages to Jerusalem, followed by Shavouot (Pentecost), which commemorates the receipt of the Ten Commandments, and Sukkot (Feast of Tabernacles) and named after Sukkota - the first stop in the Exodus. 12. The Passover Seder is concluded by the declaration: "Next Year in the rebuilt, unified Jerusalem!" Ambassador (ret.) Yoram Ettinger is head of "Second Thought: a U.S.-Israel initiative" and a consultant on US affairs, as well as former Minister for Congressional Affairs and former Consul General in Houston, Texas.